Lumbar Support Can Be Harmful To Your Health! Increases the Risk of Developing a Herniated Lumbar Disc. 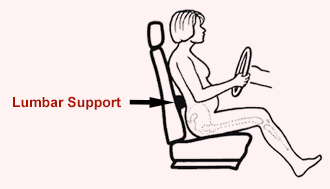 Does Not Correct a Slumped Driving Posture. Don't let your Sitting Posture turn you into a Shallow Breather! Exposing the fallacy of lumbar support, YogaBack™ was developed by former Mayo Clinic physical therapist Dennis Zacharkow - the originator of Sacral-Lower Thoracic Support and author of the classic 1988 textbook Posture: Sitting, Standing, Chair Design & Exercise. Why "YogaBack Your Posture"? - Because Driving is the #1 Cause of Back Pain & Distorted Posture! YogaBack Rejuvenates Your Posture as it Drives Away Your Pain, Tension & Fatigue. Plus... YogaBack's Active-Alert Posture Promotes Safer Driving! Please Note: We do not have online ordering. By taking orders over the phone, we are able to give you the proper advice on using the YogaBack for optimal results. This advice will differ for various YogaBack applications, such as relieving low back pain driving, solving the headrest problem with new cars, or modifying an office chair. YogaBack's customer service is the best! 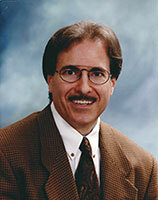 When you call, you will speak directly with physical therapist and YogaBack inventor Dennis Zacharkow. Dennis will answer your questions and take your order. See What's Inside YogaBack, click here. • YogaBack Your Office Chair* for Pain-Free Computing. *Chair backrest must extend all the way down to seat, with no open space. • YogaBack Your Airplane Seat to Relieve the Pain and Fatigue of Traveling. • YogaBack is the Most Effective Posture Therapy in Osteoporosis Prevention and Treatment. "YogaBack Your Posture" Everywhere! Plus... bring your YogaBack when shopping for a new chair.